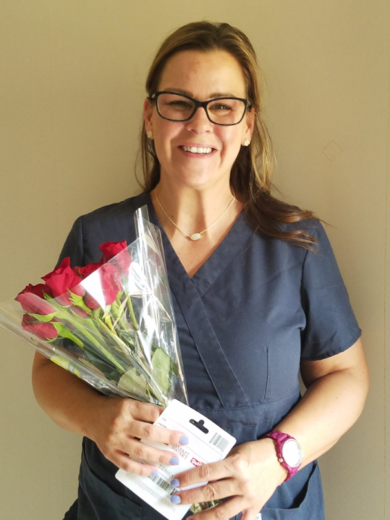 In-Home Quality Care would like to congratulate Nikki Cooper, recipient of the April Caregiver of the Month Award. Nikki has been a member of the In-Home Quality Care team since 2004 and has worked with many many families over the years. She always puts the care needs of her clients and families first. Her kind and gentle personality allow her to make everyone around her feel comfortable. She is very reliable and very talented. Families talk most about Nikki’s compassion and her willingness to “go the extra mile” to ensure clients are happy. Nikki recently returned to school and successfully earned her CNA license. Her desire to seek additional training and education allows her to provide the best care to her clients.